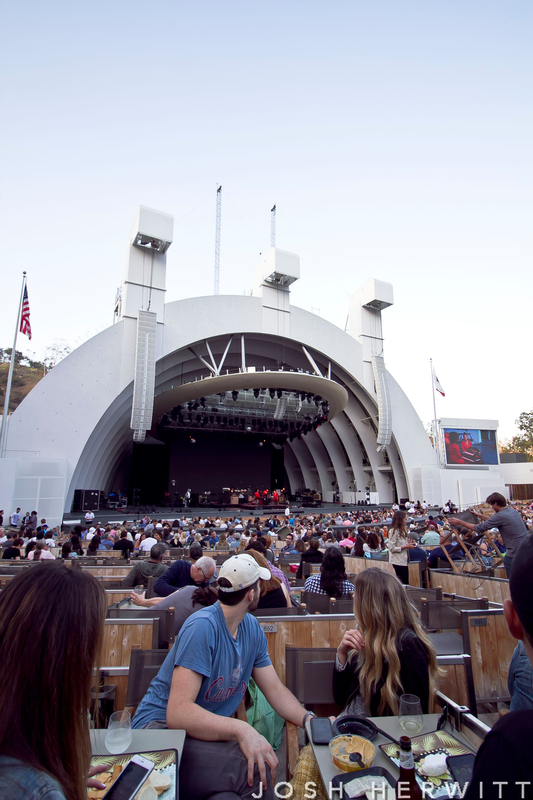 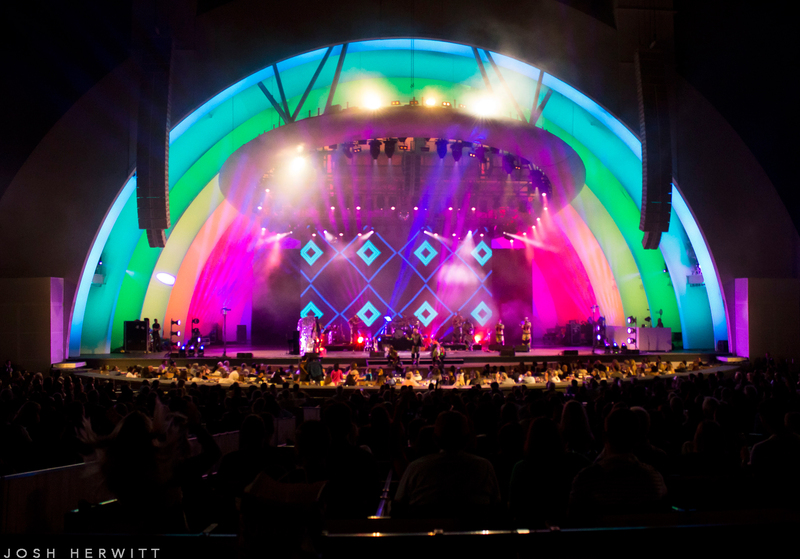 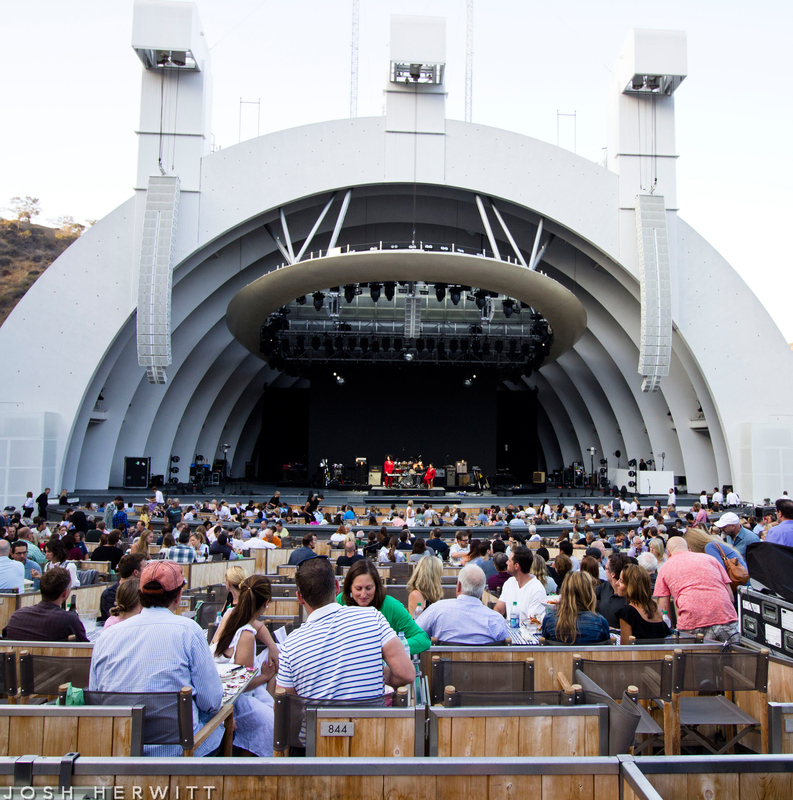 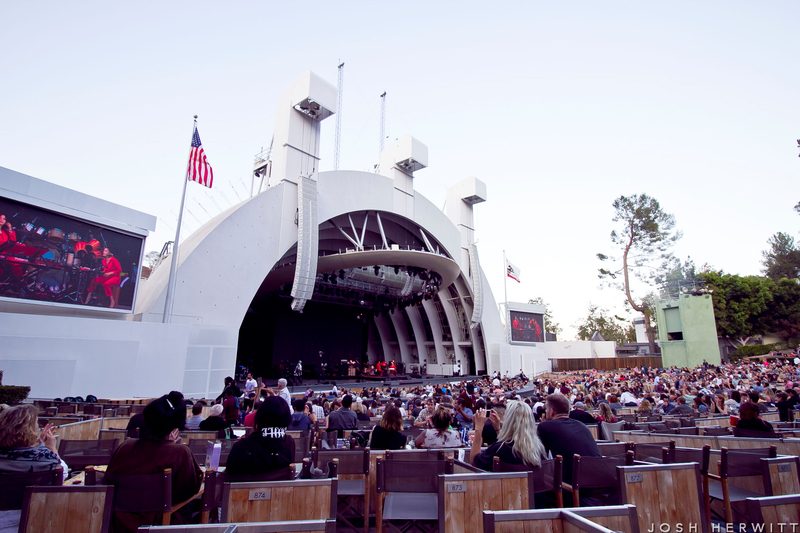 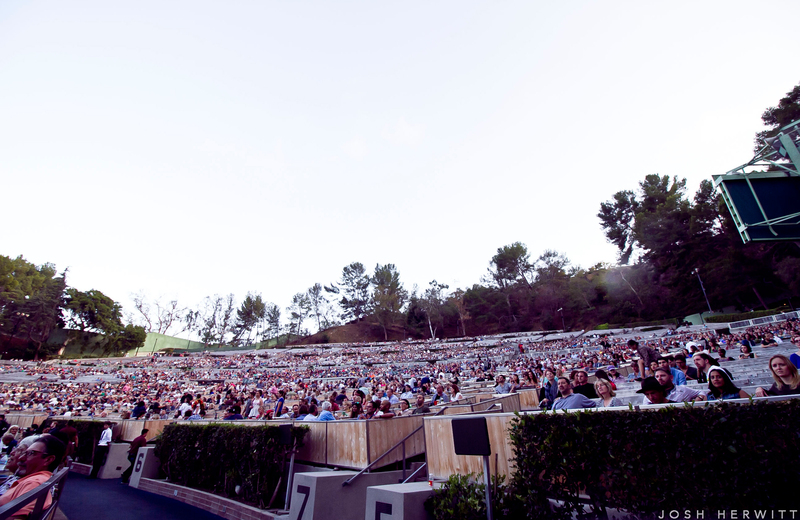 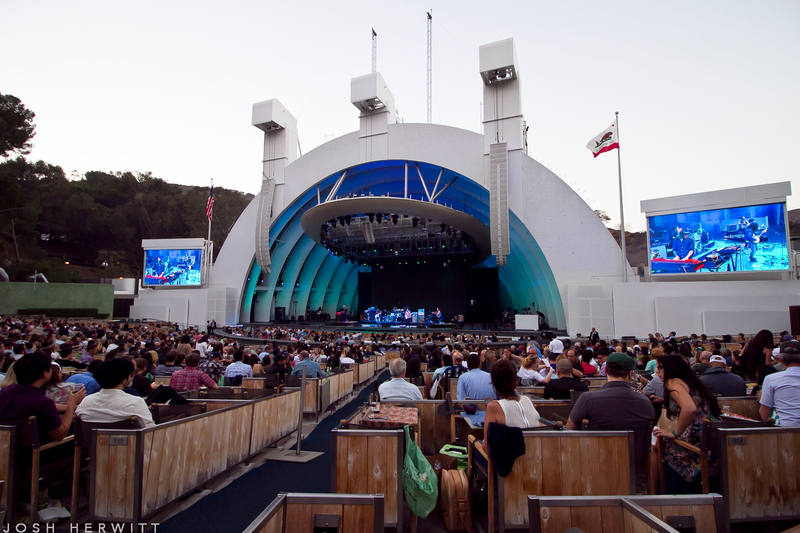 Though I don’t know if the same can be said for my music journalism career, there have been at least a few bright spots, one as most recently as last Sunday, when I was invited to cover my first show at the Bowl. 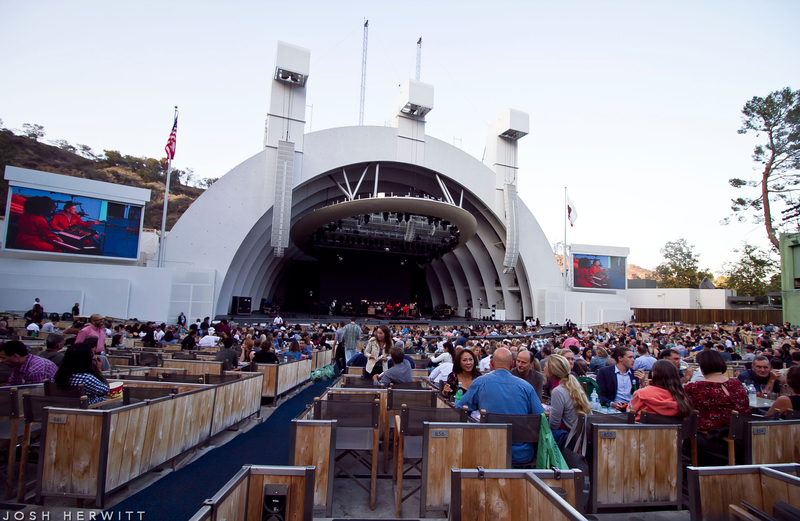 It might sound cliché (actually it definitely sounds cliché), but never in my wildest dreams did I ever think I would get credentialed for a show at one of music’s most storied and historic venues, one that I grew up going to regularly as a kid. 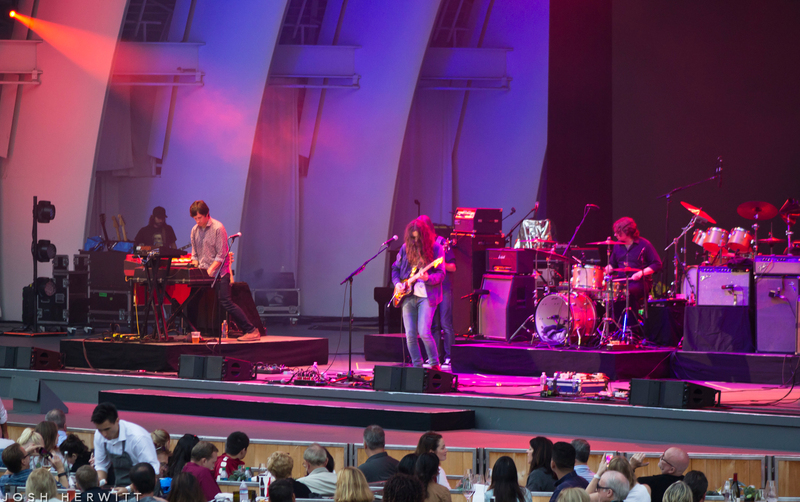 When you write for a small music blog like this one, getting the opportunity to cover a show at the Bowl doesn’t come around all that often, if ever. 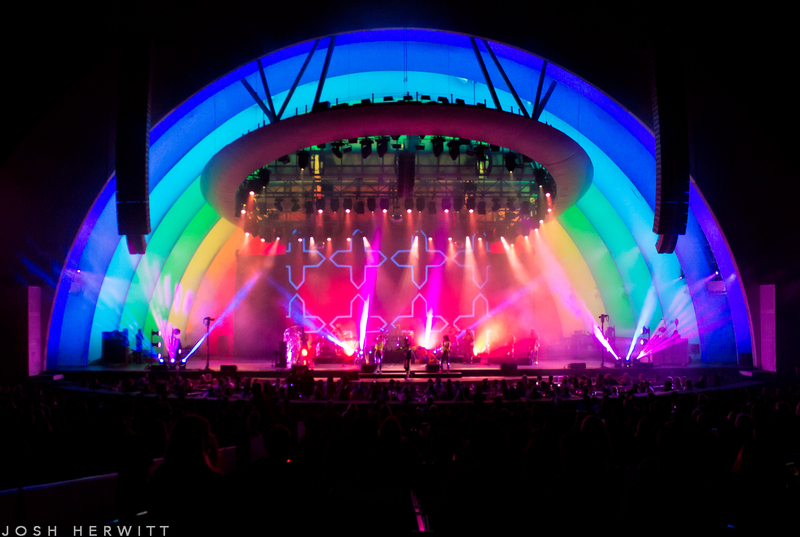 And what a show it turned out to be. 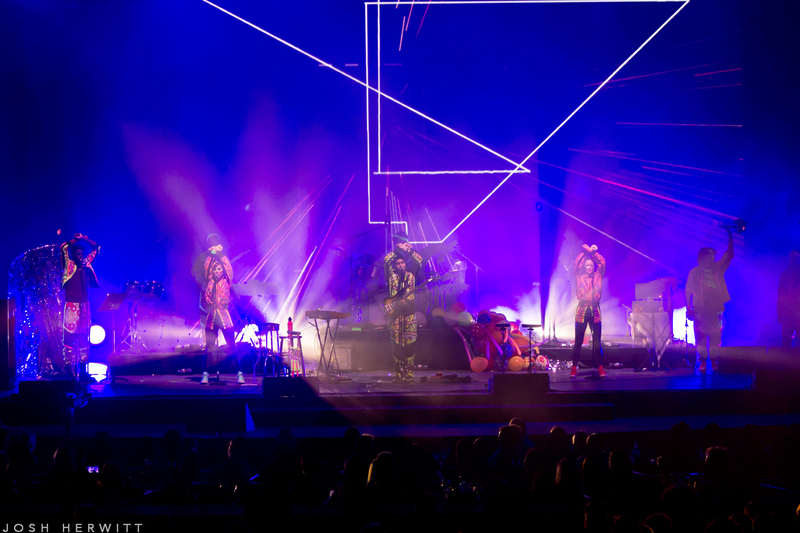 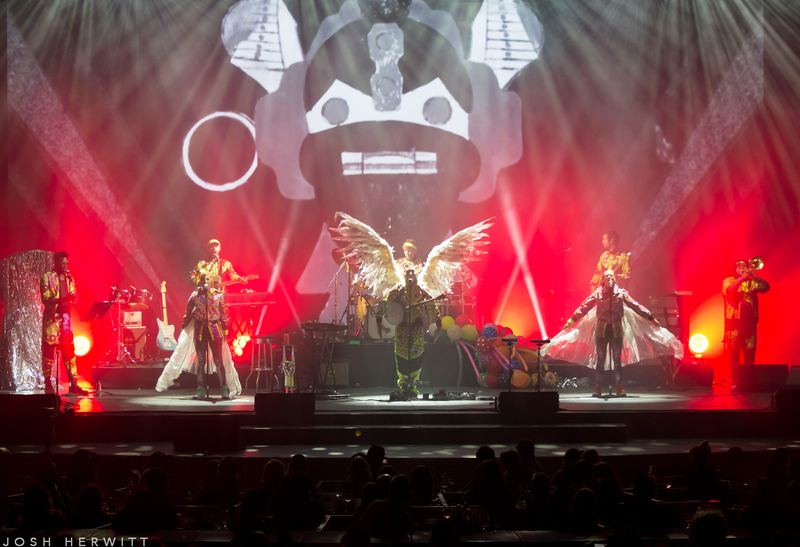 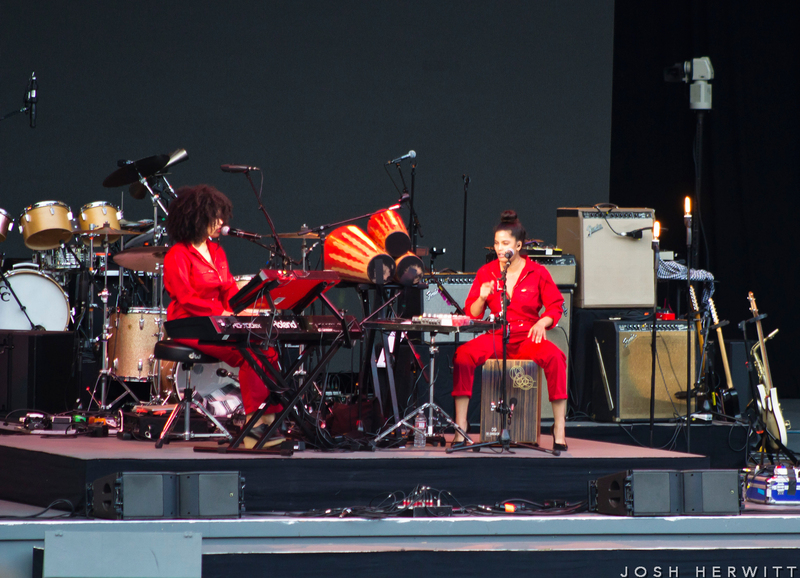 With a bill headlined by neo-psychedelic folk singer-songwriter Sufjan Stevens and featuring sets from lo-fi indie rocker Kurt Vile with his backing band, The Violators, and French-Cuban soul/R&B duo Ibeyi, the lineup of performers on this night was eclectic to say the least. 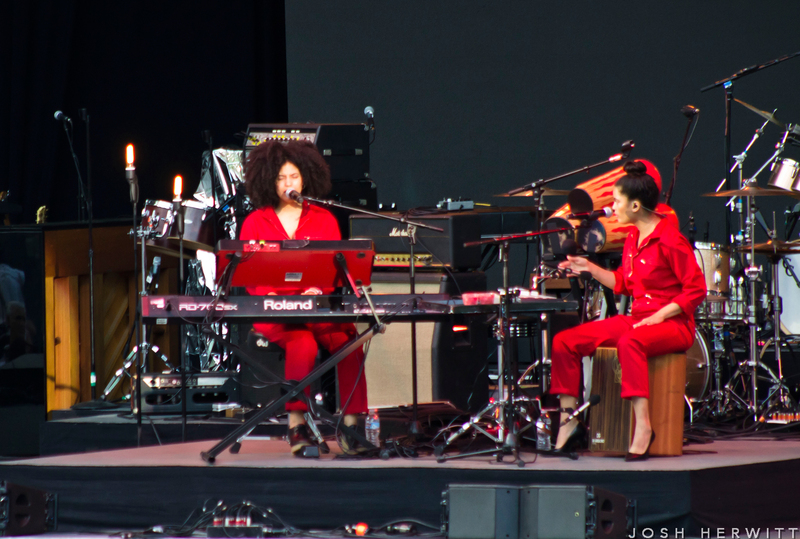 Yet, with two of the three acts already in California to play Outside Lands Music and Arts Festival (read our review here), NPR member station KCRW made sure to take advantage for its World Festival series. 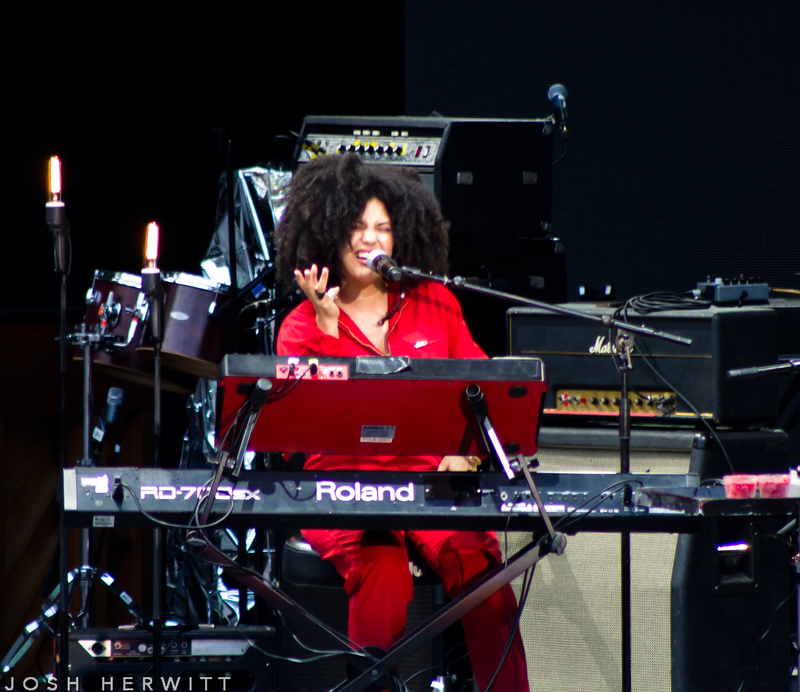 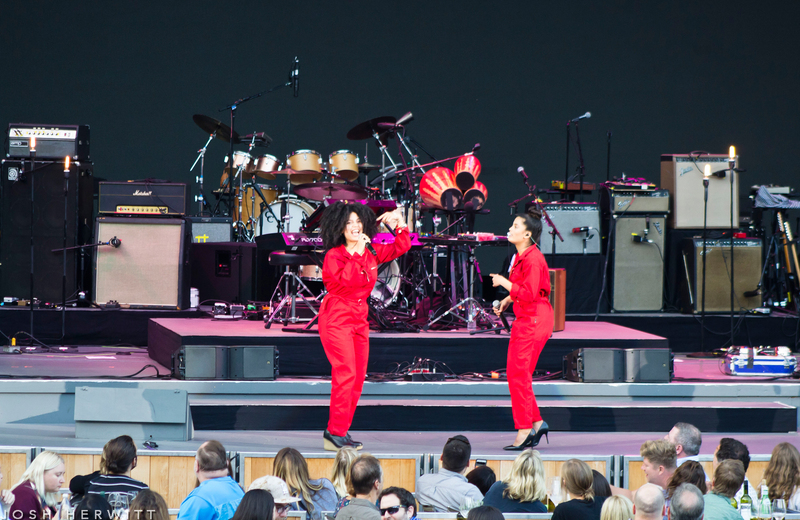 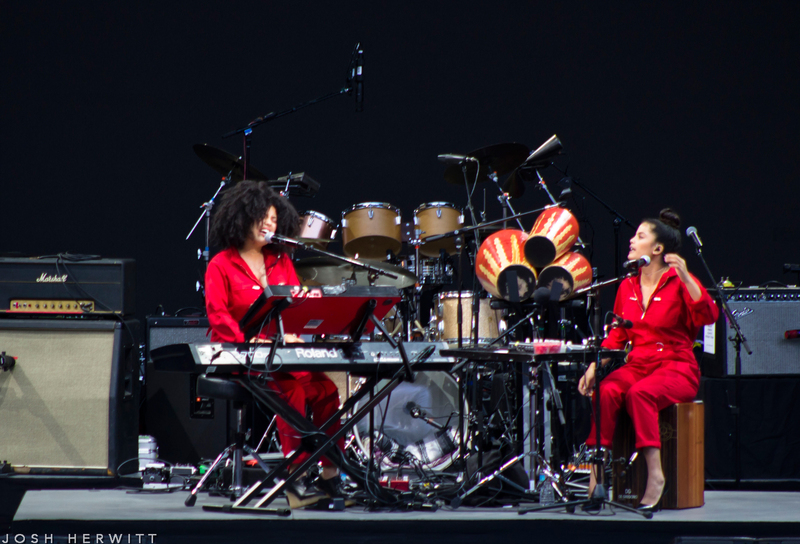 It’s always tough for an opener to play the Bowl, and unfortunately Ibeyi had to find that out the hard way for its first appearance. 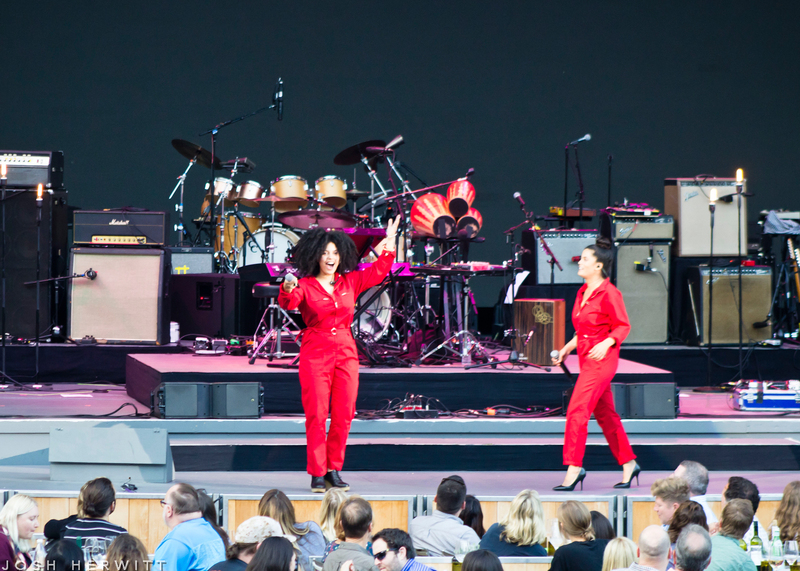 With the show’s early start time due to the Bowl’s 10:30 p.m. curfew on Sundays (it slides back to 11 p.m. Monday-Saturday), most of the seats were empty when twin sisters Lisa-Kaindé Diaz and Naomi Diaz took the stage at 7 p.m. sharp. 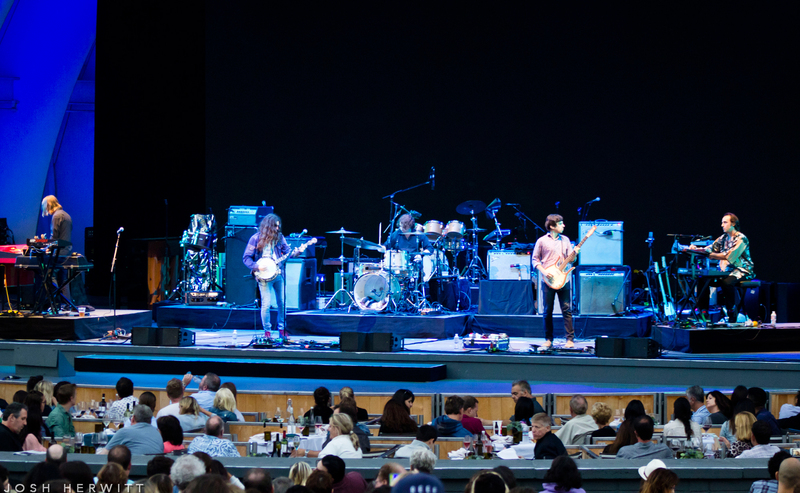 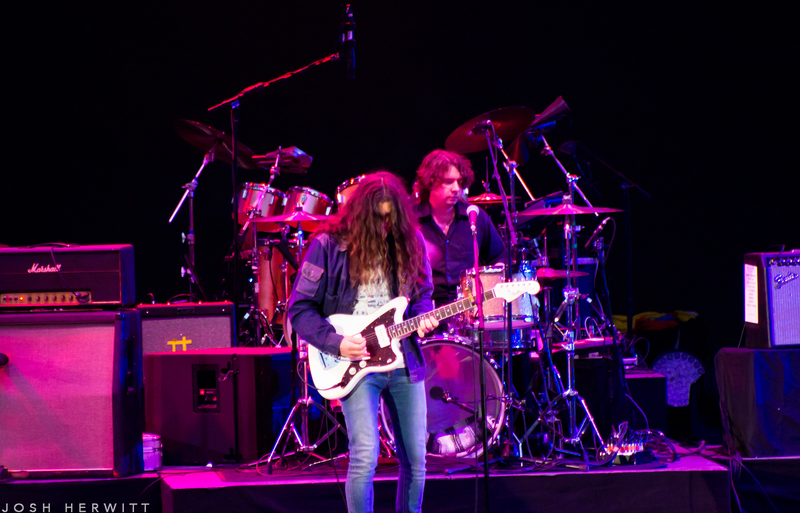 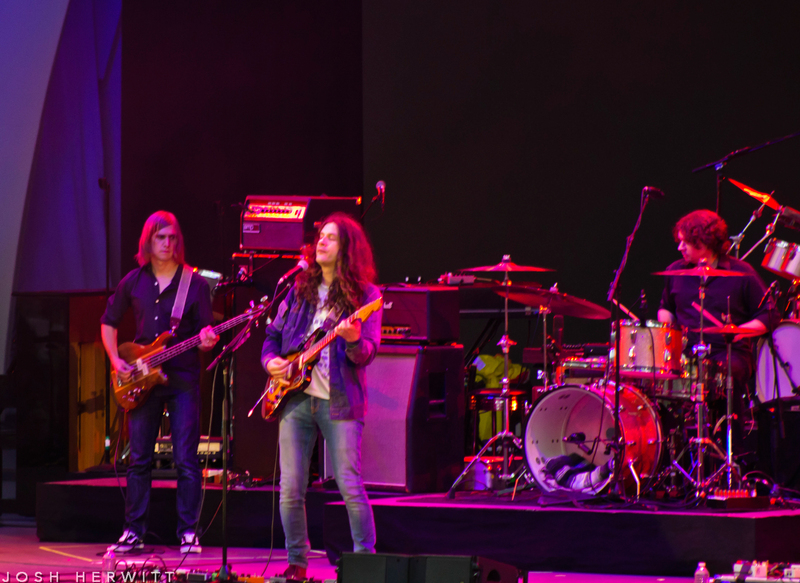 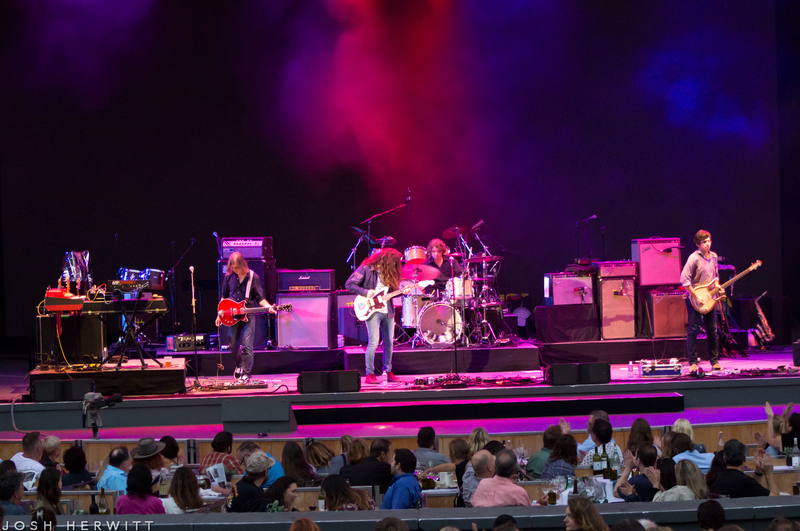 It wasn’t until 7:40 p.m., when Vile and his three bandmates were subsequently up next, that the amphitheater started to fill up, especially in the upper-level sections. 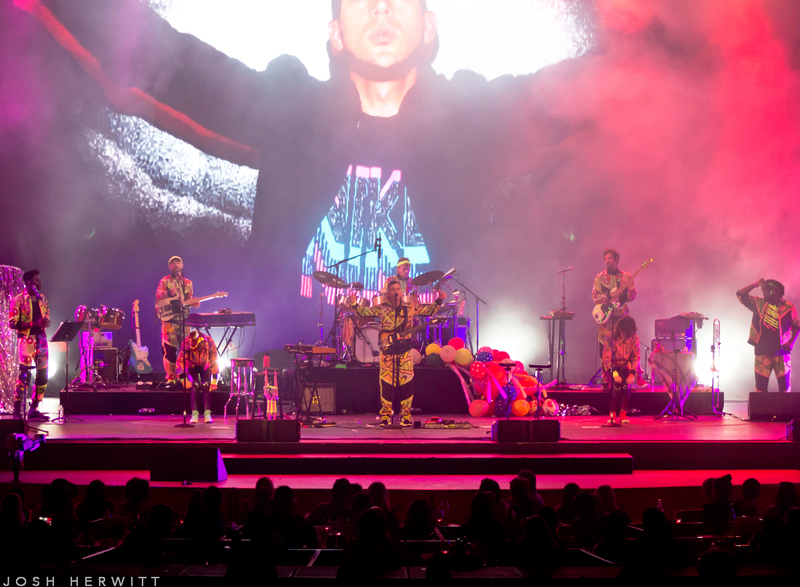 Vile, who has been touring heavily since the release of his sixth solo album b’lieve I’m goin down…, let out a few hoots and hollers as he opened his 50-minute set, doing his best to pump up the somewhat subdued crowd. 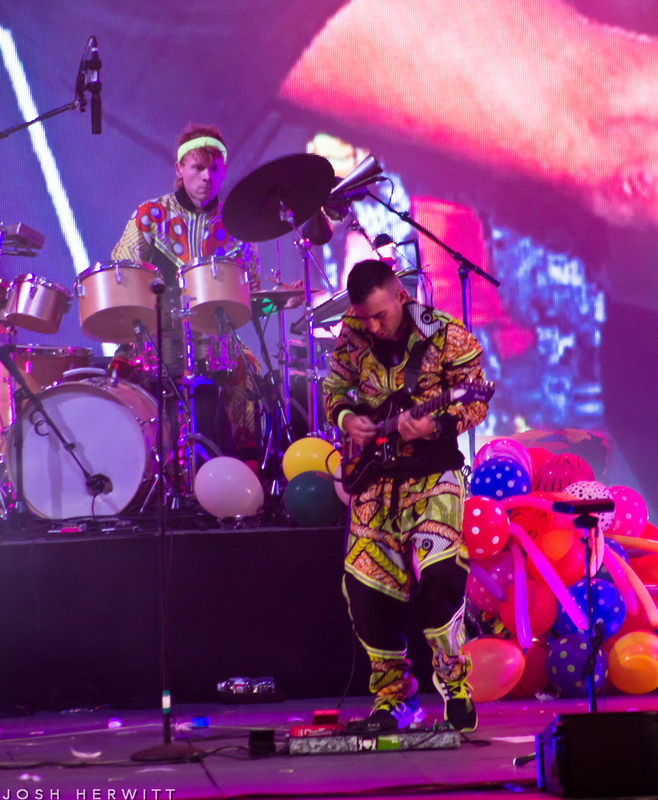 But it was his music that ultimately got fans excited, leaning heavily on his newest material as he moved between electric guitar, acoustic guitar and banjo. 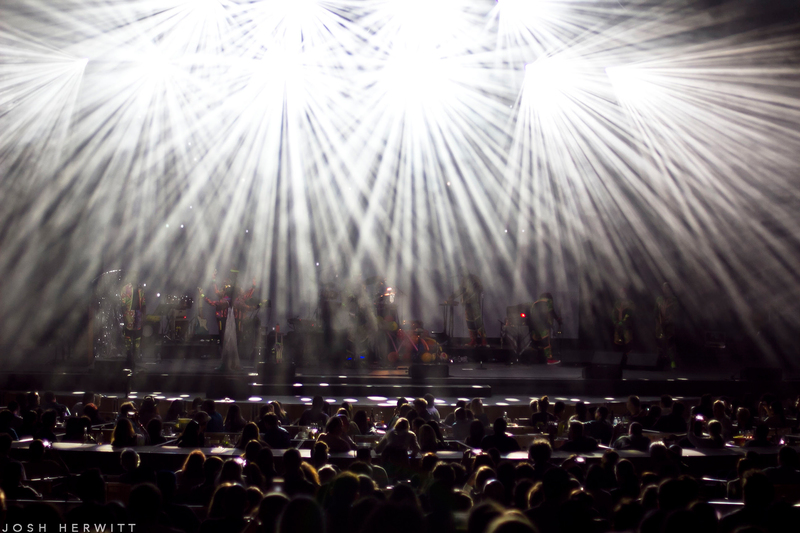 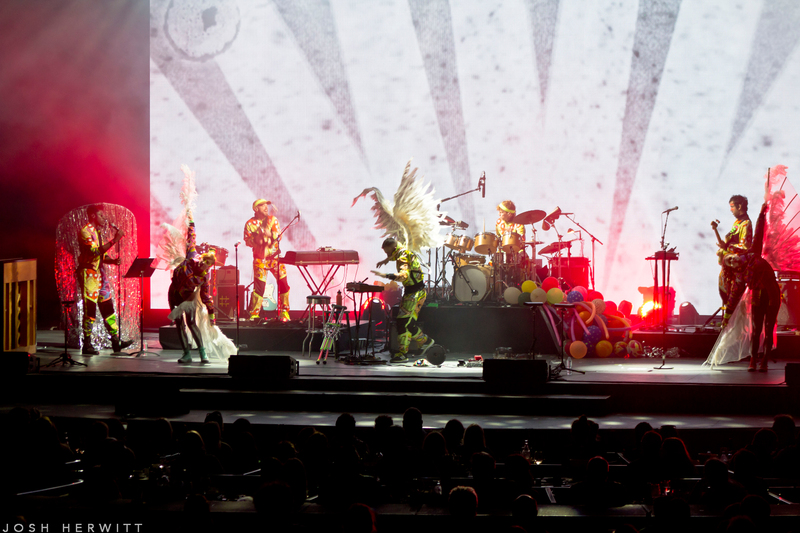 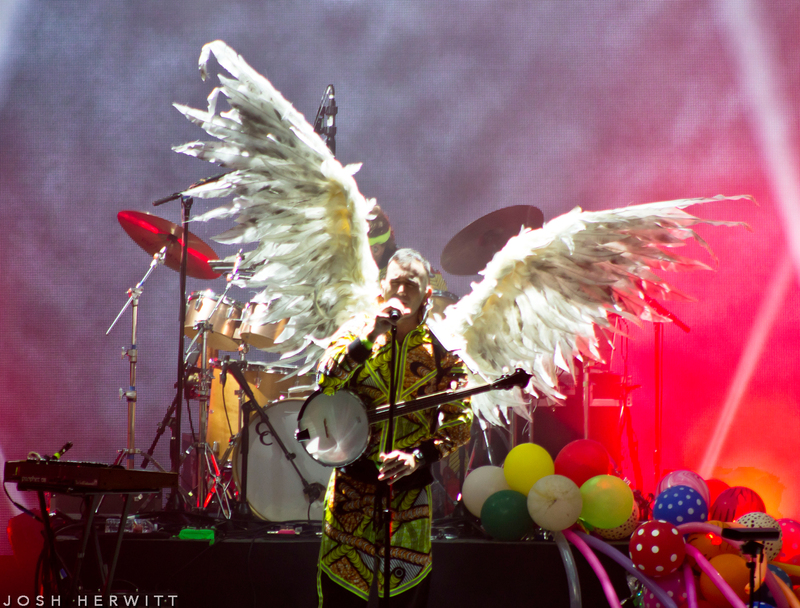 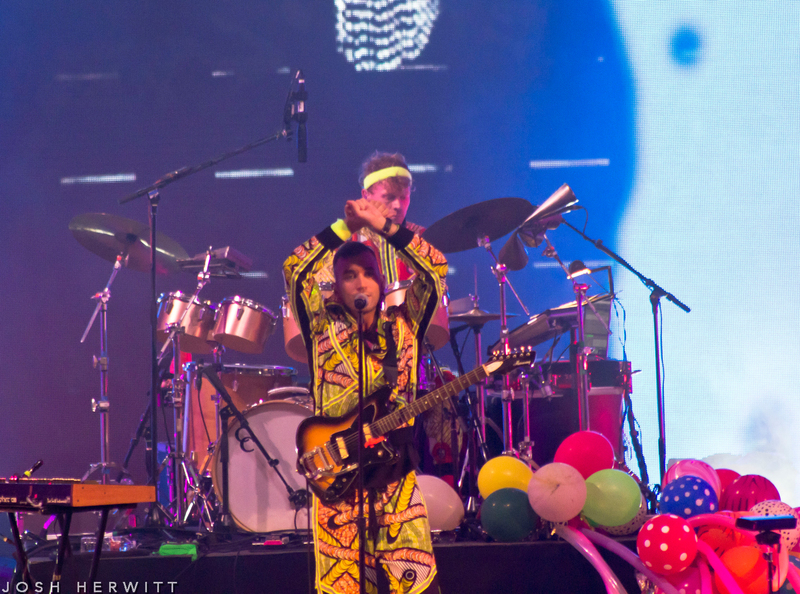 The spectacle of the night, however, was no doubt Sufjan Stevens’ set. 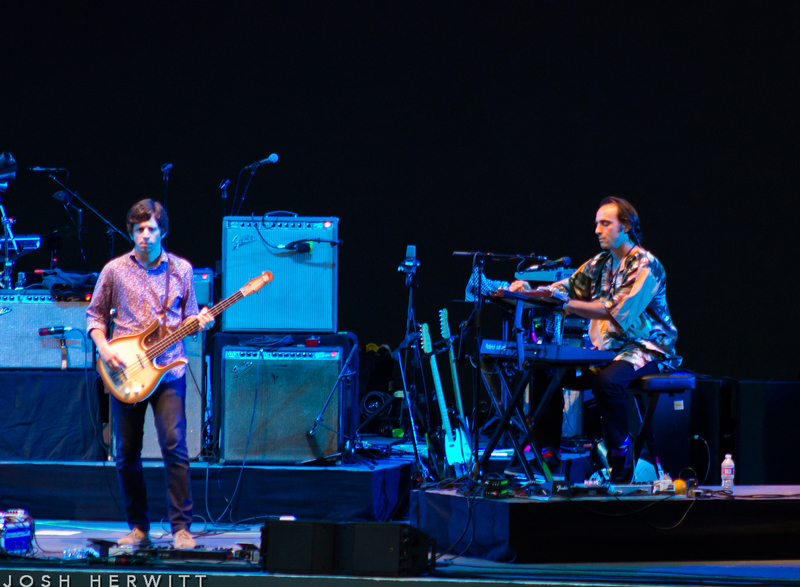 The Michigan native, who professed his love for his home state on his 2003 LP, had it pretty rough growing up, as he details in “Should Have Known Better” from his latest studio effort Carrie & Lowell. 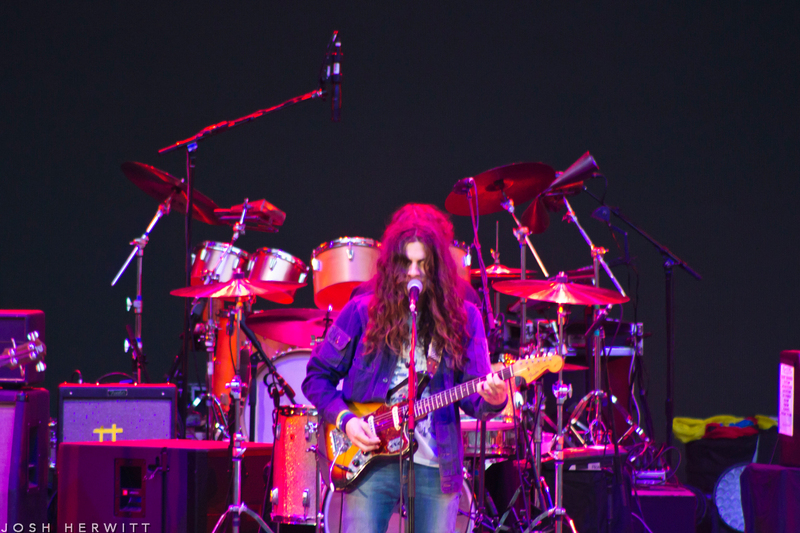 The album, which recounts some of the more unsettling moments Stevens shared with his late mother (Carrie) and stepfather (Lowell) — including times when Carrie abandoned him as a child — and the emotional pain he felt following her death in 2012, has taken his career of almost 20 years to new heights, with many music critics pronouncing it his best yet. 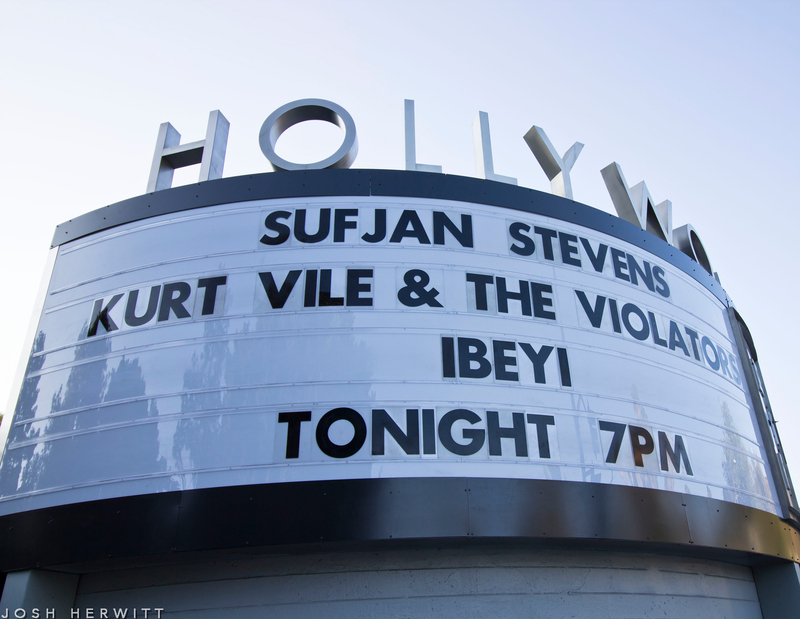 On this evening though, Stevens did his best to spin things in a positive light, proclaiming at one point that he wanted to “sing about life” after spending “a year-and-a-half singing about death.” “Feel your heart and your lungs and the warmth of your skin, and know you’re alive,” he told us in between songs while preaching that we as a society need “less resistance” and “more acceptance.” Coming from a man who dons a pair of giant wings, a neon-colored track suit and at times, a bizarre balloon costume onstage, a spiritual pep talk as such could sound like a bunch of hocus pocus to glass-half-empty types. 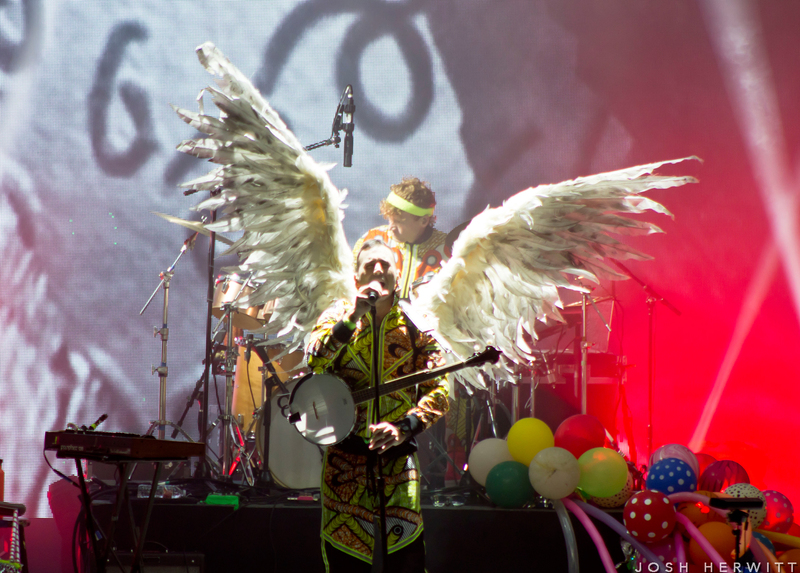 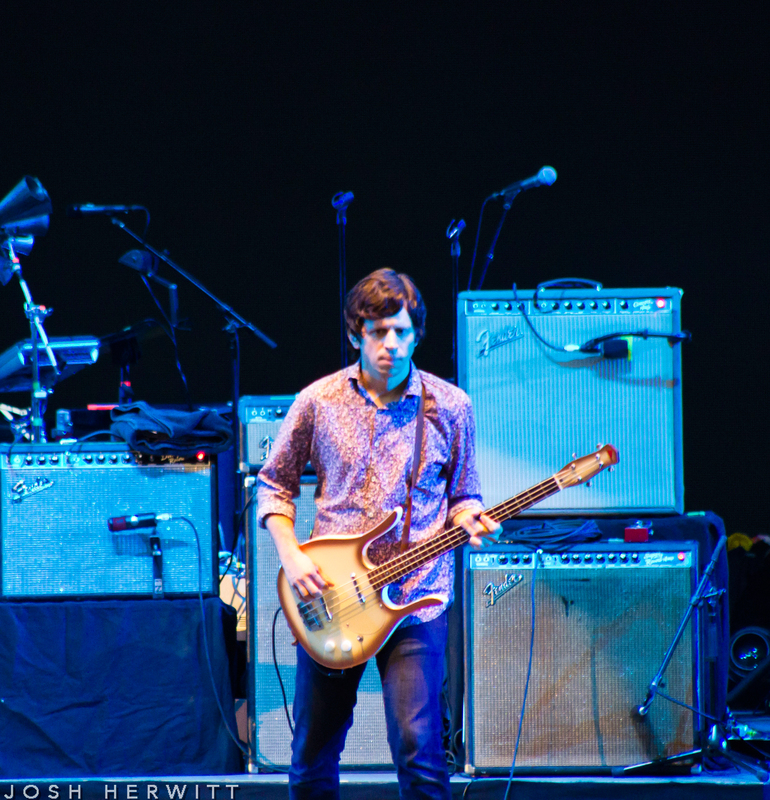 But the stories Stevens tells on Carrie & Lowell are real and heartfelt, ones that take guts to broadcast publicly like he does, and with a rainbow of fluorescent lights covering the Bowl’s band shell once night fell, the final stop on his 2016 summer tour felt more like a celebration of sorts than a memorial service. 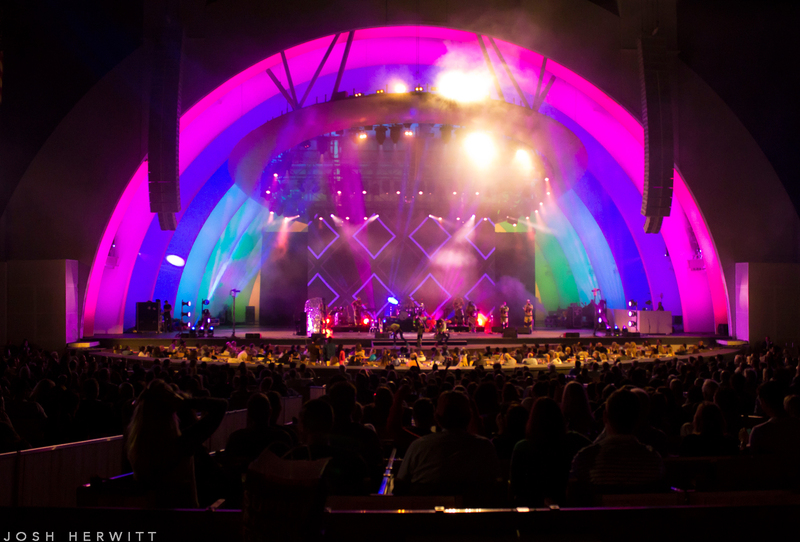 So, as the man in a foil-like suit ran through the crowd at the start of his encore, which concluded with a tribute to another one of his fallen heroes in Prince, I couldn’t help but smile and take it all in, knowing full well that the chance to cover a show at the Bowl may never come my way again.